We are pleased to announce the 16th of April 2015 for the 44th edition of the Amsterdam Waterland Marathon! 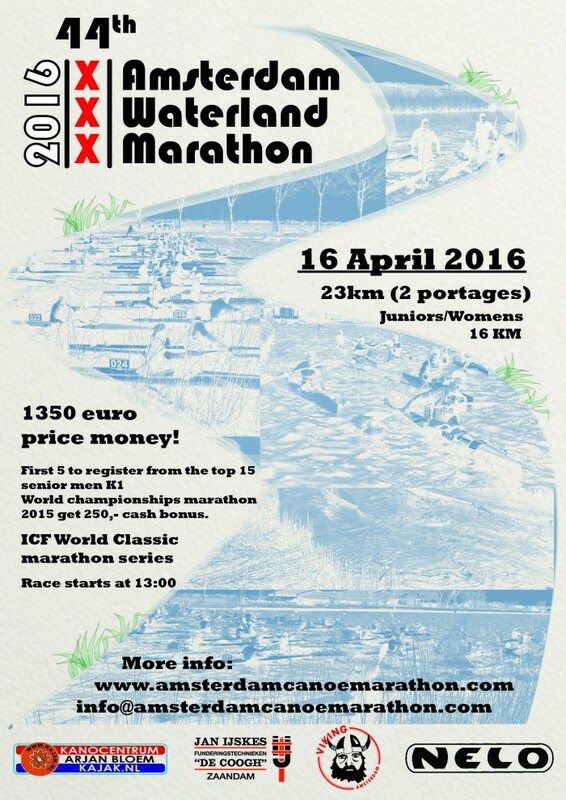 We would like to invite all men and women, juniors, seniors and master racers for a new edition of our exciting race! Price money will be available for the top 3 racers of all official racing categories! 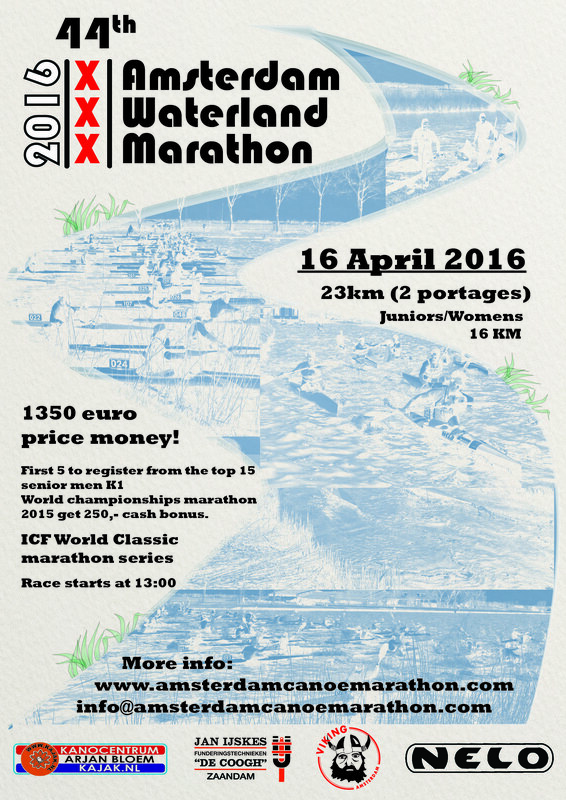 The Amsterdam Waterland Marathon is part of the 2016 ICF Classic Series.